I remember being surprised many years ago to learn that conductor-composer Carl Davis is an American by birth (October 1936, New York City). Id seen his name attached to so many English productions that I assumed he was a thoroughbred Brit. But it turns out that Davis moved to the UK in 1961 and married the English actress Jean Boht in 1970. Hes in regular demand over there as a conductor and has composed the music for over 100 television productions. He has also written for ballet and composed film scores, the most notable being The French Lieutenants Woman (1981) and Topsy-Turvy (1999). But hes perhaps best known as the composer of new scores for classic silent films. In that respect Davis has composed scores for Napoleon (1927), Ben-Hur (1929), Greed (1924), and Safety Last! (1923). The Napoleon score won high honors in France, but for the United States re-release it was replaced with a score by Carmine Coppola. There have now been many integrated film and music performances where he has conducted scores for silent films with live orchestras. Recently, Davis has created a website filled with information and news. Hes also formed a record label, the Carl Davis Collection, which will be issuing recordings from his career as both a conductor and a composer. An upcoming release will feature the Napoleon soundtrack with Davis conducting the City of Prague Philharmonic. In the meantime, heres a look at the first four releases in the series. 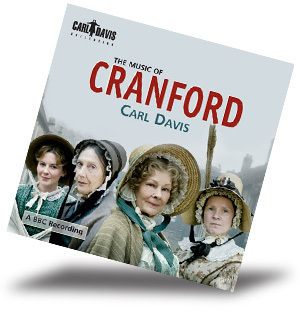 The music for Cranford, like that of the other initial releases, is among the most recent from Carl Davis. But hes no stranger to BBC productions, having previously written scores for Hôtel du Lac (1986) and Pride and Prejudice (1996). Based on the novel by Elizabeth Gaskell, Cranford is a five-part miniseries that dwells on the women of the fictional town of Cranford in 1842. Through their gossip and individual stories, it depicts an England going through great social and industrial change. Davis has chosen to focus on the English countryside, using themes that sound gentle and flowing. The main title is lovely and represents, according to Davis, the road that leads to and from Cranford. That theme, in various guises, appears often throughout the 30 tracks of the single-disc recording. The rest is full of romance, good nature, and, as in track 5, "Purge the Cat," a bit of humor. Track 16, "Crime Wave in Cranford," showcases Daviss ability to create drama and suspense. As is the norm with BBC dramas, the music is performed by a small ensemble that uses strings only one or two to a part, adding some winds and harp. The recorded sound is very clear but a little flat and microscopic, which is fitting for the video presentation but initially a little odd for an audio-only release. But once you adjust, the charming music stands up very well without the picture, especially since Davis has written a track-by-track description of the action for the CD booklet. The title of this movie gives away what its about. It was written and directed by David Connolly and Hannah Davis, who happens to be the composers daughter. You might say its a return to the composers roots, since the score is at least 50 percent jazz, a genre Davis grew up with in New York. But Britain has jazz too, and to my ear, the jazz portions of the score sound more British than American -- though theres nothing wrong with that. The orchestral portions of the score are lush and occasionally reminiscent of Bernard Herrmanns Vertigo. There are some interesting waltzes throughout, some elegant and some a little bizarre and grotesque. The jazz sections are recorded with good presence and some depth, whereas the orchestral music has excellent clarity and frequency range but is limited in its depth and dynamic range, which would make it suitable in a movie theater but slightly less desirable as an audio disc. Also, few know about this film, so a running track-by-track description would have been useful. All in all, the score is a fairly good listen as background music, but its probably of intense interest only to serious film-score fans. 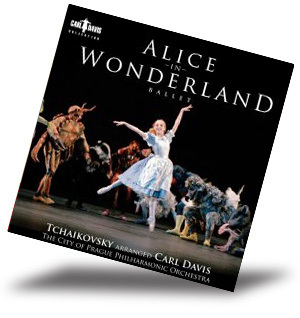 When the English National Ballet planned to restage Alice in Wonderland during its 2006 season, artistic director Derek Deane challenged Carl Davis to produce a score with music by Tchaikovsky. Lewis Carroll and Tchaikovsky will certainly sound like apples and oranges to most, and there will be a tendency to curse this production for what it isnt rather than praise it for what it is. Without the visuals, you might feel more like youre listening to Sleeping Beauty or Swan Lake than Alice. But you can find some decent clips of the ballet on YouTube that show how it all goes together. For the most part, Davis used sections of Tchaikovskys Album for the Young, throwing in some fanfares, marches, and ballet music from the Russian composers Hamlet and The Tempest. Theres even a seldom-performed number from Sleeping Beauty (here for the "too much pepper in the soup" scene at the house of the Duchess) and the complete third movement of his Symphony No.5, which is, after all, a waltz. 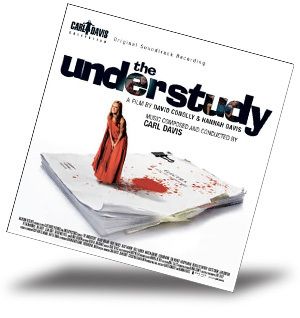 Davis has annotated each section for the CD booklet, disclosing where each bit of music originally appears. If you can accept the basic disconnect of Russian music for an English story, it all works splendidly. The City of Prague Philharmonic Orchestra is a crackerjack pickup group that has recorded stunning soundtracks for the Silva label, and its right on the mark here. Davis has a good feeling for Tchaikovskys music and gets virtuoso results from his players. The sound is recorded from about the seventh row, and it has good presence and clarity, though it sacrifices a little warmth. Some might give this release four stars. Id be OK with that, but I subtracted half a point for the English-Russian issue. 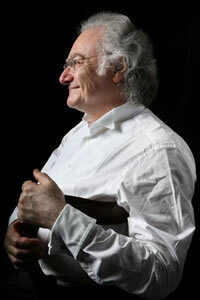 David Bintley, the Birmingham Royal Ballets director, commissioned Carl Daviss score for Cyrano in 2004. Cyrano de Bergerac, the well-loved play by Edmond Rostand, has been the source for many dramatic and musical ventures. Its been filmed twice with great success (1950 and 1990) and has been made into an opera and an earlier ballet production. The love story lends itself to eloquent and romantic music, which Davis has supplied in abundance. The composer-arranger has created a score thats lyrical and that pays homage to the baroque period, in which the play is set. There are some wonderful, danceable musical themes here, sewn into a compelling dramatic tapestry. Davis admits that this work is closest to his new scores for silent movies, and he excels in that genre just as he does here. When we look back at Davis later on, Cyrano will likely be considered one of his masterpieces. I wish we could have a Blu-ray video of the ballet, but there are a few clips online. 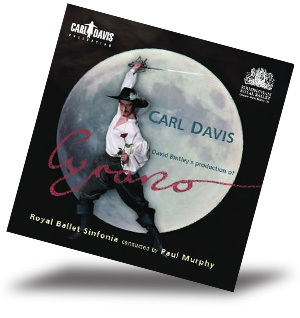 Paul Murphy, a regular conductor of the Royal Ballet, leads with precision, sweep, and almost wild abandon; its a most exciting performance, which the engineers have caught in robust sound that has magnificent presence. Theres a wide soundstage with ample depth, details emerge clearly, and full orchestra passages have commanding heft.